This softly baked custard of eggs and cheese is the perfect texture for us at any stage. 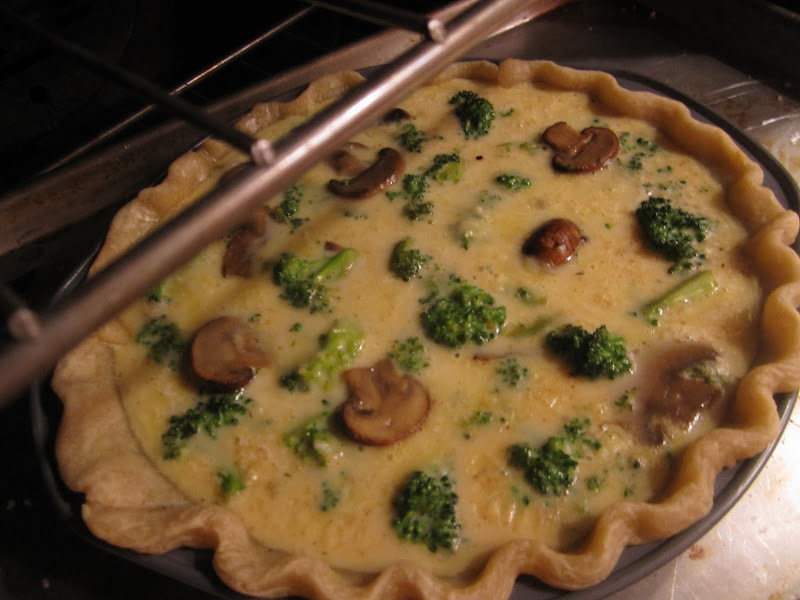 You can vary the vegetables; Use any combination of vegetables and cheese that you like - Broccoli Swiss Quiche is another favorite in my house. Leftovers heat up nicely in the microwave. Crust is optional based on who will be eating your lovely vegetable cheese pie and if you can afford the carbs. Preheat oven to 350°F and spray a 9-inch pie plate with nonstick cooking spray. Melt the butter in a nonstick skillet and sauté the mushrooms over medium high heat until golden and the liquid released has reduced, about 6 minutes. Add spinach and toss to blend with mushrooms; set aside to cool. Beat eggs, milk, salt, pepper, and nutmeg in large bowl. Fold in cheese and cooled sauteed vegetables. Pour filling into prepared pan. Bake until knife inserted near center comes out clean, about 40 to 45 minutes. Cool slightly before cutting into wedges. 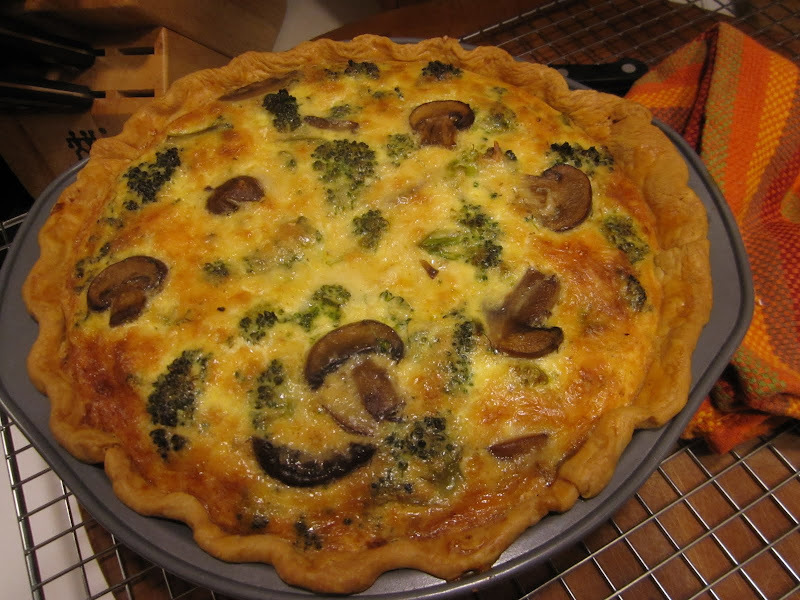 This entry was posted in Bariatric Recipes, Eggs & Cheese, Vegetable Main Dishes & Sides and tagged Eggs & Cheese, Vegetarian.